Widow’s Christian Place: Do You Feel Like You're Living In A Bad Dream? Do You Feel Like You're Living In A Bad Dream? I think the following letter describes how we've all probably felt--wishing we could wake up and find everything back the way it was . . . It's important to share these feelings. Something about bringing them out into the open helps enlarge our souls to encompass and absorb the pain. By telling our own story and hearing the stories of others, the shock and trauma slowly becomes manageable. That's what this blog is all about, by God's grace---its a safe place to grow through this, to figure it out, and to find support from the Lord and other widows. 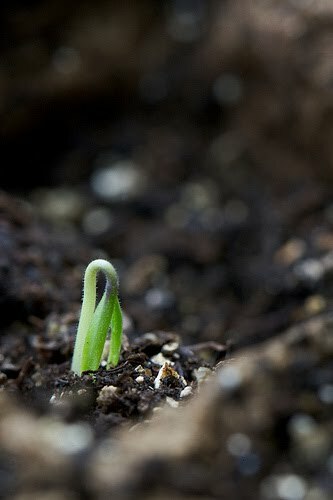 And then, one day, a bit of hope and new life begins to sprout out of the darkness and bad dream. "I have been really struggling the past few weeks. I am finding myself so totally overwhelmed by the responsibility of all this—the kids, the house, the finances. My husband and I always shared all of this and it is so hard to not have someone to talk everything over with. I think the hardest thing for me is not being alone so much as being lonely. I know that there are numerous people out there to help me and who are willing to help, but it’s having that one person who knows what you are thinking before you speak, knows everything about you and lets you be totally yourself that I miss the most. I find myself crying more now than before– did that happen to you? Maybe the shock has finally worn off? I feel like I am living a dream and the phone will ring and it will be my husband calling from South Africa or someplace. He traveled for 3 to 4 weeks at a time so being here alone isn’t that strange, but not having the e-mails and phone calls breaks my heart. Every time I go into my e-mail I want to see his address there with a message. I want to drive to the airport and pick him up from a very long trip but I know that’s not possible and I struggle with that. I keep trying to find blessings in all of this . . . But it’s so hard to let go of all our dreams and plans and try to imagine a life on my own. I didn’t plan or want to be a single person or parent but I guess God had other plans for me. I’m just so unsure what they are. Sometimes it’s hard for me to be totally honest with those close to me. I am trying to do that, but I don’t want to be a burden to them. I don’t want to intrude on people’s lives and add more to what they themselves are already dealing with. And I know they struggle with not really understanding what this is like—I know I never did until I reached this place myself. There are no words to describe the pain and grief or the intensity of it." What do you relate to most in this letter? Please add your comment below. Sharing can be hard, but you'll help yourself and help others if you do. This bad dream chapter of your life won't last forever, so take heart and hope, my friend. "... Weeping may last through the night, but joy comes with the morning." Been getting emails and many have been so helpful but the one today re relating to that woman's lonliness and adjusting says it all for me too! I'm just not techy enough to know how to reply to an email like was requested in that message. I don't do FB much at all. Don't have time! My cousin , who came when my hubby went under Hospice care, sent me your website. She'd never driven from FL to AL but felt she wanted to help and she did! She was with me when he died and stayed another day before she had to drive back. WHAT a blessing! It's been almost 18 mos and my daughter in love has said I'm doing better than she expected. Frankly, I had no expectations. It was 33 days from his symptoms until his passing. No time to think or plan. Just try to absorb and care for. Dear Ellie, You've been through a lot these past two years! I hope you recover swiftly from your broken wrist. A broken heart, as you're finding out, takes a little more time. But God has blessed you with a wonderful cousin who knows how to do what God tells her. :) I think a lot of widows would agree with you that facing a new challenge (like rehab for your wrist) is a new round of facing strong emotions. It might be a good time to try a GriefShare group in your area, or if there are any widow support groups by you, check them out too. I'm so glad you contacted me though. It means a lot that you'd tale the time, and now your words will be the thing that other widows relate to, and are encouraged through. Please stay in touch, and be sure to let me know how you're doing. I'll be praying for you. I can totally relate to the post. Sometimes I wish I could sleep longer because the dreams are more pleasant than reality. I am coming up on three years; I still have two kids at home, one who has really struggled but is starting to do a lot better. It is ironic how much I believed in the importance of fatherhood, and then to lose my husband in my forties. I love the new song by Hillary Scott, "Thy Will be Done." I could have written it. I read your post the other day while at the auto shop. I was there having my glass on my wind shield replaced. As simple as this must sound I thought about how my life had been shattered just like that rock shattered my wind shield. Like you I realized my life would never be the same. I had made plans to be with my husband until we both were in wheel chairs at the assisted living place. He helped me with decisions and sometimes finished my thoughts. He knew me and understood me. We both had similar interest. Who can I now trust? How do you dream again? What will my life be like in the future? I realized two things(with God's help). People really don't know how to treat us and I believe it really is our responsibility to help them understand(as much as we can). We are not a burden, we are people who have suffered great loss and are learning to deal with it. Its like learning to ride a bike for the first time (but much more difficult). We are starting over or rather completing what God started in us before we ever knew our husbands. Our testimonies will help others see God's life in and through us. Secondly, this pain is real. Its a day by day healing. It means getting up every morning asking God for strength and believing (as hard as it is) He will give it to us. Its also thanking Him for waking us up in our right mind. He has made so many promises in His word that speaks directly to us and about us. Thank you for opening up your heart and sharing your thoughts and feeling with us. WE can identify. As you continue on this journey I pray that God will continue to strengthen and keep you and remind you that He still keeps every tear you shed in a bottle. How precious is that. Love and kisses your sister in Christ.